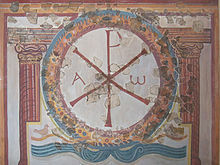 The Anglo-Saxon invasions briefly re-introduced paganism in the 5th and 6th centuries; Christianity was again brought to Great Britain by Catholic Church and Irish-Scottish missionaries in the course of the 7th century (see Anglo-Saxon Christianity).Insular Christianity as it stood between the 6th and 8th centuries retained some idiosyncrasies in terms of liturgy and calendar, but it had been nominally united with Roman Christianity since at least the Synod of Whitby of 664. Still in the Anglo-Saxon period, the archbishops of Canterbury established a tradition of receiving their pallium from Rome to symbolize the authority of the Pope. The substantial immigration to the United Kingdom since the 1920s has contributed to the growth of foreign faiths, especially of Islam, Hinduism and Sikhism,Buddhism in the United Kingdom experienced growth partly due to immigration and partly due to conversion (especially when including Secular Buddhism). ^ "European Social Survey, Online Analysis". nesstar.ess.nsd.uib.no. Retrieved 2018-05-14. ^ "Tables produced using the Annual Population Survey and the Labour Force Survey: ethnicity and religion broken down by country - Office for National Statistics". www.ons.gov.uk. Retrieved 2018-10-26. ^ "Jedi e-mail revealed as hoax". BBC News. 11 April 2001. Retrieved 2016-08-03. ^ "Religions – Jainism: Jainism at a glance". BBC. Retrieved 2013-09-14. ^ "on www.jainsamaj.org ( Jainism, Ahimsa News, Religion, Non-Violence, Culture, Vegetarianism, Meditation, India. )". Jainsamaj.org. Retrieved 2013-09-14.